An area of affluence, historical attractions, and government agencies, Northern Virginia combines rich family values and American culture in the lands just south and west of the nation’s capital. Read more about Northern Virginia. I actually used your Best Pick Reports to choose some folks. I'm happy about it. By and large, Best Pick Reports is like a free version of those recommendation services you have to pay for; that the way I perceive it. I will continue to use this book. Several of the companies I've called up, I got them out of your book. I think it's really helpful. Using Best Pick Reports works better than the online referral services; they were iffy. I've had nothing but good luck with the people you list in your book. It's been very, very helpful as a homeowner because if you just search online, online is great for finding national companies, but it's terrible for finding someone local. I want to be able to find the guy in my community. That's where your publication comes in; it fills that void, serves a need. I've read my copy pretty much from front to back. Obviously, the references for the particular companies were helpful. Also, the section at the beginning of each chapter was extremely helpful. 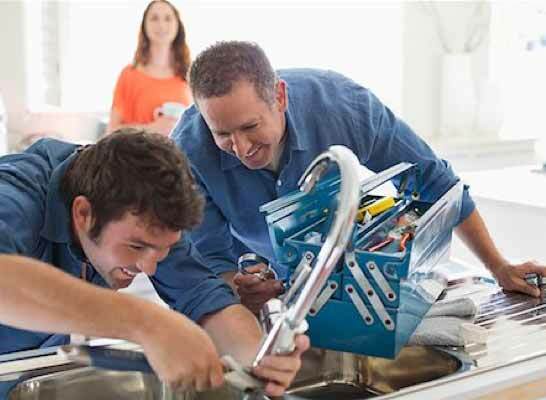 I appreciated the explanations of things you need to be doing on an annual basis or semi-annual basis for your home because some of the work we'd never gotten done. I use your guide, and I find to be very useful. Since I got Best Pick Reports, I go directly to that if I need any work because it just seems like there's a lot of data behind the recommendations, and it's objective. I love Best Pick Reports. I'm on the homeowners' board here at my condo, and it's kind of hard to find good people to do work for you, so when I got Best Pick Reports, it was like it dropped out of heaven. I called and got everybody on the board a book. Your people are very kind, very cooperative, and very knowledgeable. I appreciate everything that you do. I think the book's great. That's how we found one company we're using, and I intend on using the book in the future. It's marvelous. I thought it was quite informative. Very helpful for us if we need things like paving, roof, gutters, and stuff like that. That's why I'm keeping it. I'm looking forward to using the book for those things. I write my notes about companies on the book. I find Best Pick Reports to be really helpful, especially in a place like Northern Virginia. Here, you may not know your neighbors; you may only know your colleagues, and they may not live anywhere near you. It's helpful to have something that gives you information for the specific area where you live. We have used the Best Pick book very faithfully. I felt like it gave us quality contractors to deal with, rather than having to go with whoever I happened to find a phone listing for. The whole experience of using the book was great. Best Pick Reports is invaluable. Best Pick Reports helped me. I keep that book. It was because of the book that I found my contractor. If it wasn't for Best Pick Reports, I wouldn't know who to contact. It's helpful for me. We requested a copy and had it shipped to us. We actually have gone through it many times because we're new, first-time homeowners. It was very helpful for us to have it available right at our fingertips. I'm in real estate, and we use Best Pick Reports to give referrals to our clients when they ask for contractors for things they need done. That's one of the books that we go to. When our neighbor was asking for some references, I just handed him my copy of the book. It's a very useful resource. As a matter of fact, I got your book, and one of the reasons I chose the contractor I'm using was because they were in there. There are so many people in this area, Northern Virginia, and it's hard to know who to pick. I thought Best Pick Reports was a great service. We use your book, and we're about to go to it to look for a good company for windows. Best Pick Reports is a great independent service. People call me up all the time asking me about companies because they know I used to be a facilities manager, and I refer them to this book all the time. Residents of Northern Virginia enjoy the best of both suburban and city life. The nation’s capital, with its world-class restaurants, museums, and entertainment, is just minutes away, but it doesn’t take long to find yourself in the lush forests of nearby state and national parks. Home to some of the most affluent areas in the United States, Northern Virginia is a popular destination for professionals and young families seeking both proximity to Washington, DC, and the slower pace of the suburbs. Northern Virginia’s population is just shy of three million, so traffic on city streets andmajor highways is reliably heavy. As a result, many commuters choose public transportation over their personal vehicles. Luckily, the area’s public transportation system, the Metro, makes traveling through Northern Virginia and the District a breeze—just remember that when it comes to Metro escalators, stand only on the right. Like most of the other parts of the DC metro area, home prices in Northern Virginia are higher than the national average. 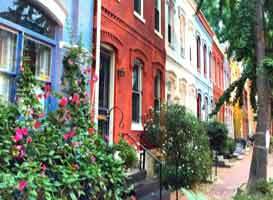 In general, the closer an area is to the District, the higher the home values and listing prices, so Alexandria, Arlington, and McLean are among the pricier places to search. Manassas and Centreville are popular areas for families looking for affordable homes on larger pieces of property and good public school systems. The new Silver Line branch of the Metro has extended train service to Tysons and Reston and will eventually run all the way to Ashburn. Metro service typically increases home values, especially in areas that are close to a station, so prospective buyers and sellers should keep a close eye on those neighborhoods. Homeowners in Northern Virginia will see significant return on investment in energy efficiency upgrades and kitchen and bathroom remodels. Older homes in the metro area often lack sufficient insulation and double-pane windows, elements that many of today’s buyers list as requirements. Enlarging or opening the floorplans of kitchens and bathrooms, as long as the homeowners stick to neutral design choices, are home improvements sure to please demanding buyers and give sellers an advantage in a competitive real estate market. Northern Virginia experiences all four seasons, so staying on top of home maintenance tasks is an important part of protecting your investment. Have your gutters and downspouts cleaned every fall and spring to ensure that moisture from rain and snowmelt is carried far away from your home’s foundation. To avoid foundation seepage or water problems in a basement or crawl space, correct any yard drainage problems that become visible after heavy rains. A drainage specialist will recommend fixes for any problems, which may include regrading the yard, reconfiguring and replacing landscaping, or installing a custom drainage system. Check out your roof—or hire a professional to do it for you—to ensure that the structure is properly vented. A dual-vent system with ridge vents and soffit vents will help circulate air through the space and prevent problems such as moisture buildup, mold growth, and ice dams. Our A-rated Best Pick contractors offer the best solutions for your home improvement and maintenance needs. 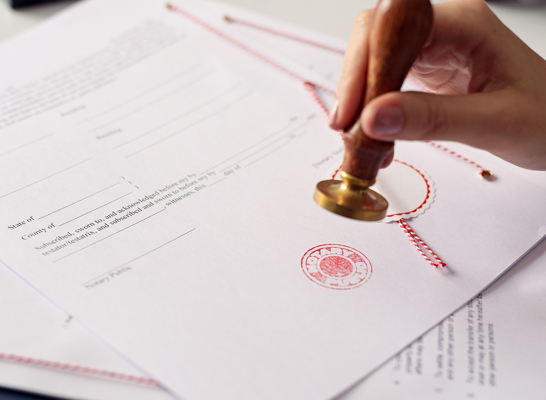 We research companies for you, and we verify required licenses and insurance every year for each of our Best Picks. Take a look at the links in the section below to learn more about any applicable licensing and permitting regulations. Most home improvement projects require a permit or license with your town or county. Adhering to these regulations protects your investment and helps ensure that any remodels or renovations are completed to current code.